Faced with currency crunch following the Modi government's demonetization move, top New Delhi-based diplomats are learned to have conveyed it to the Government of India to urgently remove the limits on withdrawal from diplomatic bank accounts. 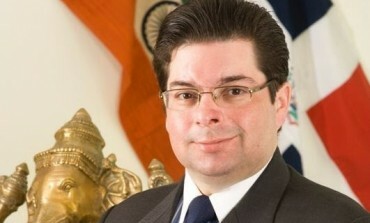 The rumblings in foreign missions follow several complaints reportedly received by Dominican Republic ambassador Frank Hans Dannenberg Castellanos, who is dean of the diplomatic corps in New Delhi, about currency crunch faced by embassy staff, including diplomats, following Modi's demonetization move. Says a report, while Castellanos has made a complaint, there are “no signs” of things getting “any better.” Castellanos, who represents the concerns of over 150 embassies and high commissions in New Delhi, “has been trying to find a solution to the complaints that have been pouring in from his colleagues”, the report adds. Castellanos says, on the very first day of the restriction, November 9, he received calls from over 30 foreign envoys “with problems of their embassies”. Soon, complaints escalated to include problems faced by foreign nationals in India. “We don’t want special privileges because everybody is being affected by this. But, at least the embassy account should have certain flexibility in the amount of money that can be withdrawn,” says Castellanos. “For an embassy operation, we need at least the equivalent of $2,000”. While Castellanos has written to the Ministry of Foreign Affairs about the diplomats' and foreign nations' problems, the matter is currently stuck in the Finance Ministry, which has “formed an inter-ministerial panel which will discuss and give recommendations on the demand of foreign diplomatic missions to increase the limit on withdrawals from embassy bank accounts”, says the report. According to Castellanos, the foreign nationals in India are particularly hit very hard, as those have changed money one or two weeks prior to the measure are being told by banks that they don’t have a bank account, or that they are foreigners and banks have to give priority to Indians. In India for 11 years, Castellanos says, foreign tourists have been told that they can exchange money at the airport, but that is not an adequate solution. How can tourists change their money to new Indian currency when they are leaving and then go to their own country, he wonders. Then, there are what are termed “medical tourists”, from countries like Afghanistan, Iraq and Iran, who cannot pay for the hotel bills. Worse, for some countries like Iran and Sudan, their people don’t have international credit cards due to sanctions. As for diplomats, says Castellanos, their daily operations, from paying staff to putting fuel in the car to supporting a doctor’s visit for a diplomat’s family member falling ill, have been jeopardized. The problem particularly acute for the embassy staff, as they don’t have accounts.